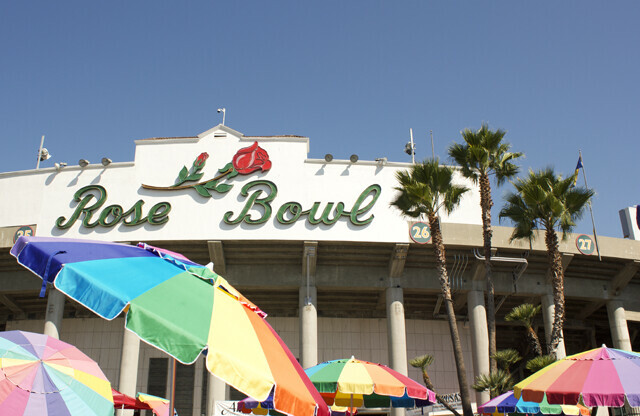 It's been a while but I finally visited my mecca, the Rose Bowl Flea Market, last weekend. I've been going since I was a teenager and I still feel anxious and excited every time I approach the entrance. 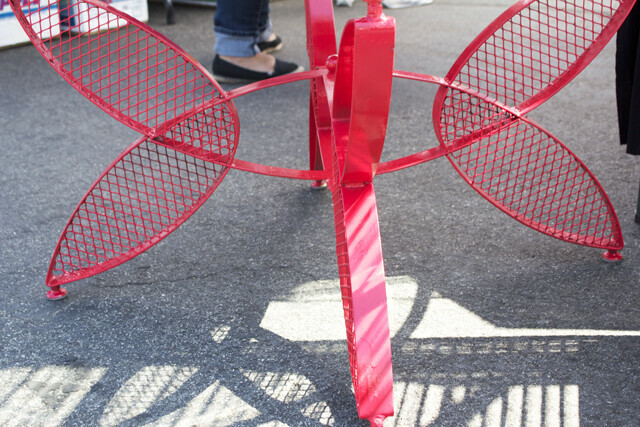 The bright colors, the old timey music, the two dollar bills you get in change when you pay with a ten - it's and experience even before you go through gates. I love the London and European markets for their authenticity but this one really takes the cake in terms of offerings for me. 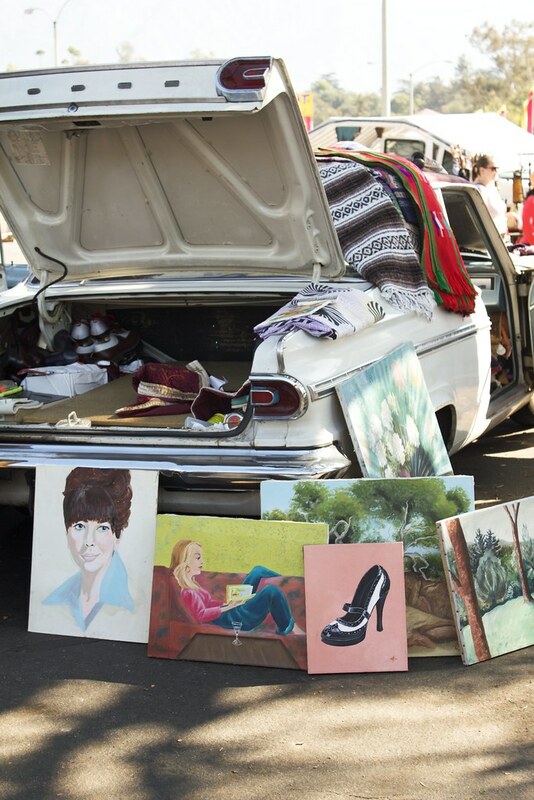 Unlike other markets that focus primarily on small bric-a-brac, the Rose Bowl flea features parking lots full of furniture, clothes, and everything in between. Since I'm only visiting, I went without an agenda and was open to finding treasures that could be put into our storage if need be. It sounds silly to buy something for later but I'm still dreaming about a chandelier that I passed on before moving to London and I vowed to not do that again. I ended up only buying one small pot for our succulents in KL but I did find myself drawn to chairs and metal patio furniture. 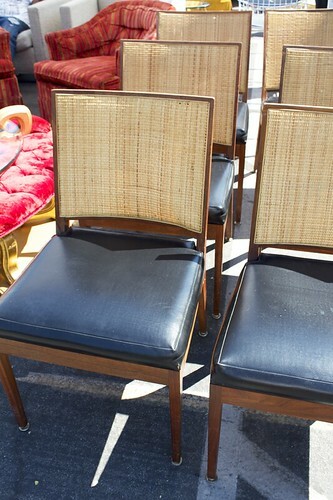 Wouldn't those yellow ones look great in my future Palm Springs lounge? 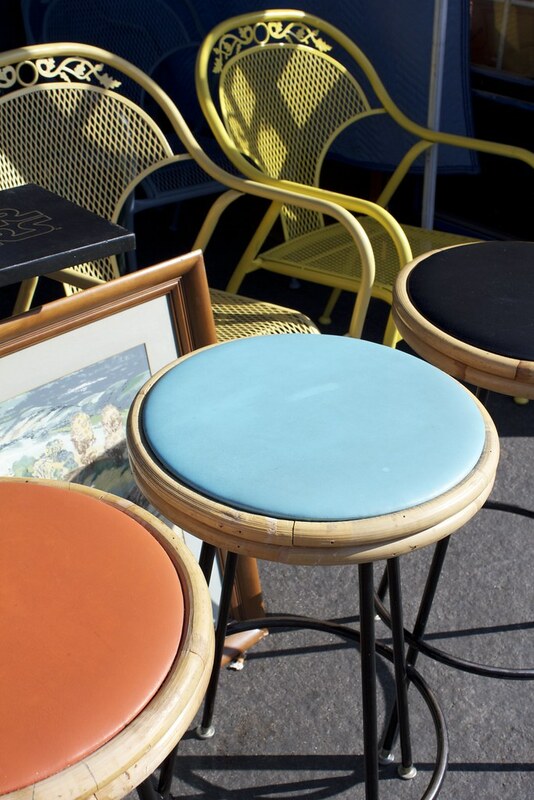 And the stools for the poolside bar? It was so hot that morning that a swim and a cold drink were really the only things on my mind. Because of that not much shopping got done but I did relish the chance to be in my mecca once again. 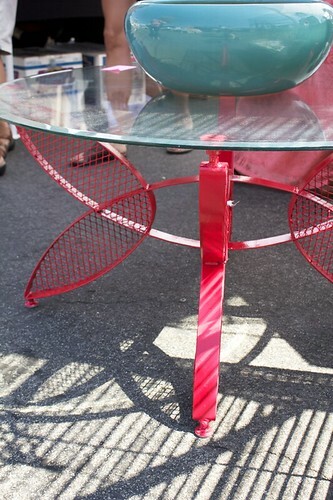 Do you have a favorite flea market where you live or one that you've traveled to?